Me vs. Cooking / To Eat or Not to Eat!? 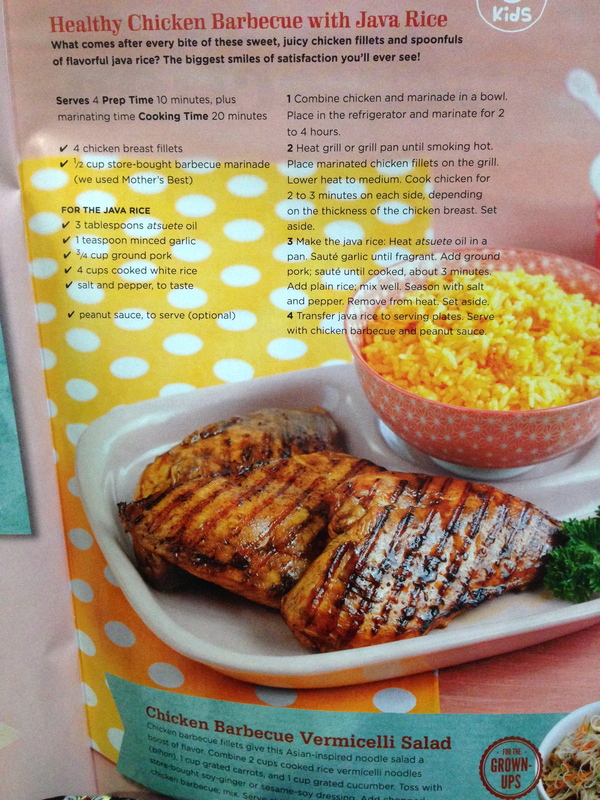 I decided to make some “healthy” dinner one night and so I opened up my Yummy magazine. 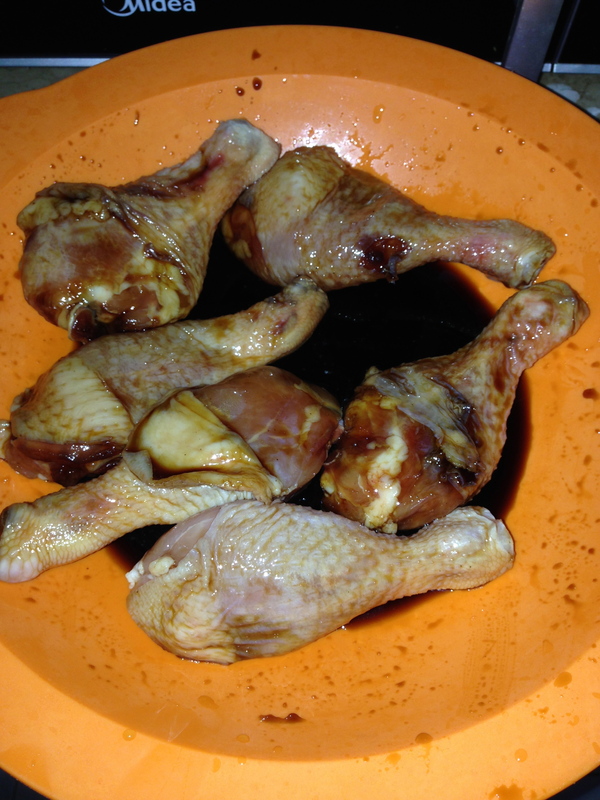 Put some chicken in barbecue marinade and refrigerate for 2 hours. 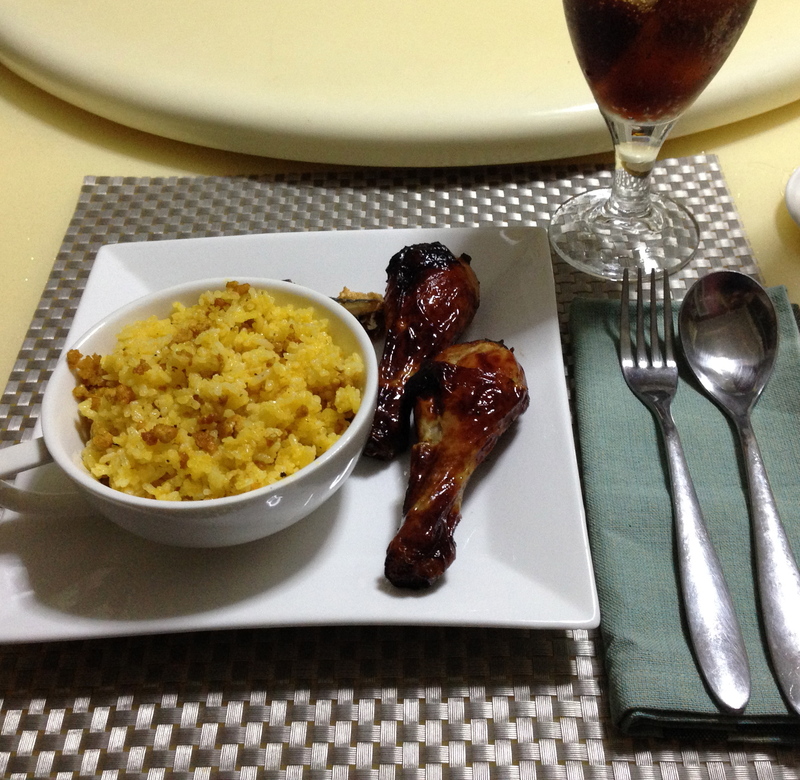 Then I prepared my Java rice. 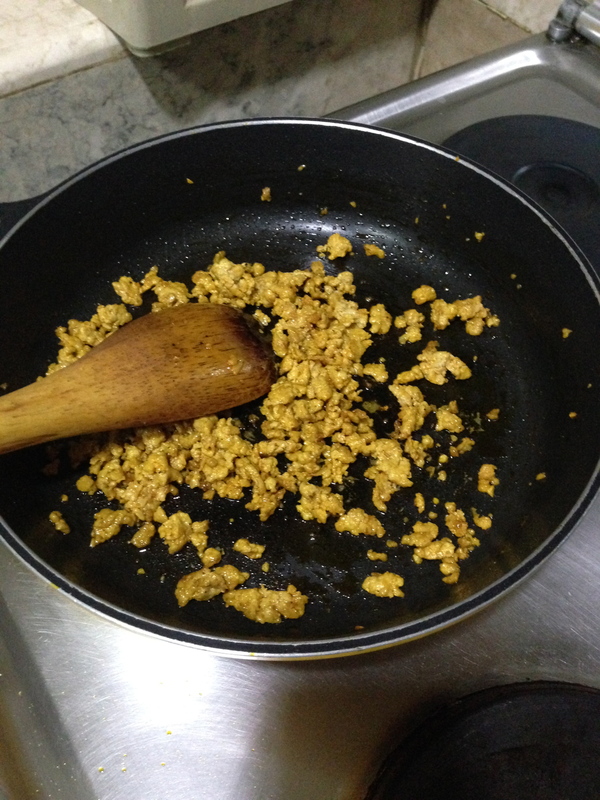 Got some ground pork, sautéed it in with atsuete oil and a little bit of garlic. 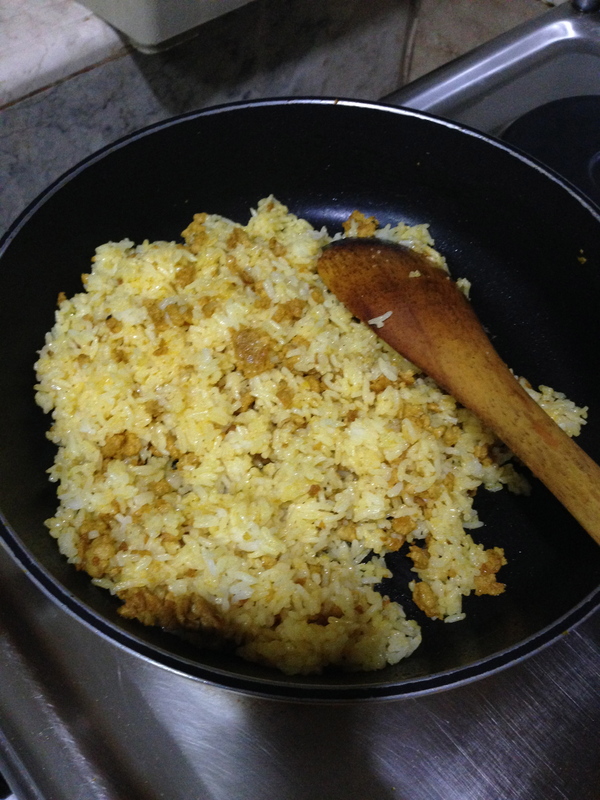 Then added white rice to it. Some salt and pepper to taste. And that’s it! Then I just put the chicken in the air fryer for 30 minutes. And there it was…just in time…ready for the husband the moment he got home from work. Yes. I love chicken, all in my family are loves them. My family often cook it with broccoli. So, it look very delicious and cool. Your recipe is great. i will try it weekend.